PENCE V KAINE: WHY YOU SHOULD WATCH THE VICE-PRESIDENTIAL DEBATE | "Global Possibilities"
Like the Gulf stream, or a young Republican who doesn’t wear beige chinos, we know Mike Pence and Tim Kaine exist – we just don’t really see them. With the media focused on Donald Trump’s near daily indiscretions, and Hillary Clinton’s various responses to those indiscretions, both the Republican and Democratic vice-presidential nominees have been forced into the shadows. 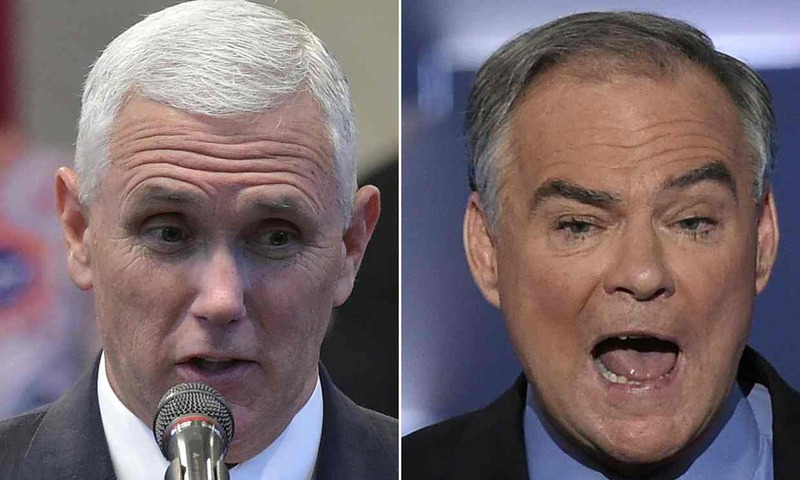 Both vice-presidential candidates are middle-aged white men. Both have single-syllable first and last names and five-letter last names. Both have grey hair. Both of them were largely unknown to the public before they were chosen as running mates. Tuesday night is an opportunity for Americans to play spot-the-difference. Kaine and Pence will introduce themselves at the beginning of the debate – clearing up, once and for all, which one is Kaine and which one is Pence. If you happen to miss those opening introductions: Pence’s hair is almost white and he has the straight-backed bearing of a mid-ranking military man. He is the governor of Indiana and is Trump’s running mate. Kaine’s hair is not as white as Pence’s. He has the happy, contented face of a God-fearing village baker. He is a US senator for Virginia and is Clinton’s running mate. You might notice I was running out of ideas towards the end. Can Pence get back on message? The pressure is on Pence to hew to Trumpian beliefs, after repeatedly being caught off-message in a recent weeks. In September Pence broke with Trump protocol by releasing his own tax returns. Worse, they showed that he had never lost $1bn in a single financial year, and therefore is not a genius. Worse still, they showed evidence of charitable donations. Pence is also yet to tweet baseless accusations about Miss Universe 1996. In fact, he is yet to post to any social media platform regarding any of the 65 Miss Universes. Tuesday’s debate is a chance for Pence to tilt back to Trump. Although he already seems to have made a misstep by actually preparing for the debate. The first Clinton-Trump debate was mostly described in boxing terms. “Clinton’s jabs put Trump on defensive”, said the The Washington Post, while the Huffington Post noted that Trump was left “reeling from blow after blow”. The Los Angeles Times declared that “Clinton outpunched Trump”. But a lot of people don’t want to watch boxing on the television. Literally or figuratively. They want a nice sit-down with something banal and inoffensive, like Dancing with the Stars or the Big Bang Theory or something to do with singing. Kaine-Pence promises to be along those more sedate lines. Not so much watching paint dry, but watching paint that has already dried continue to stay in place on a wall. Lovely.